I am very impressed with this spinner. It has a good texture, flickable, with zero hotspot. It has a good weight too. Not really that heavy. It comes with an extra set of button. This spinner is a good addition to my collection. I never regret that I bought one. Its must have spinner for those who are collectors. Good job to the Spinetic team and thank you to Joshua Young. I'm very impressed about this spinner. Its smaller in actual compared in the pictures. I like the color and the gunmetal finishing. Its spin characteristic is smooth as if like you are slicing a butter. 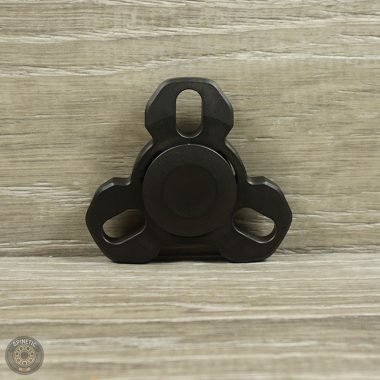 It comes with an extra Spinetic button, where you can have an option whats the best for your taste. This spinner is not super heavy, which belongs in my "ideal weight" collections. I just got it today. 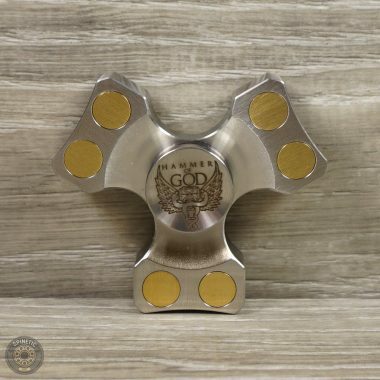 I highly recommend this spinner for those collectors and enthusiasts out there. Thank you, Joshua Young. Good job on the Spinetic Team for the fast shipping.